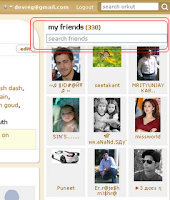 Google search by SMSing; No GPRS required and free of cost. Google launched its innovatory search option by standard text messaging for Indian mobile users. Like before for U.S. mobile users it is easy, convenient and cheap. 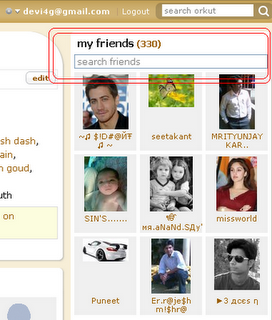 You just have send your search queries to 9773300000 and get search results filtered by your location also. For example type cricket score and send to 9773300000 you will get latest cricket scores by sms. type movies delhi >> send to 9773300000 >> you will get now showing movies in delhi . For more details type help and send to 9773300000 or visit http://www.google.co.in/sms. This service is available for all operators including CDMA operators and you will be only credited for sending standard sms charges(less than Rs 1). 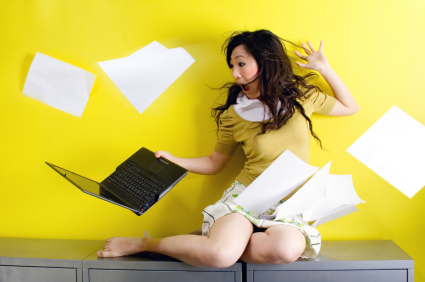 Receiving the results is free of cost. Try now, it's very interesting . Hundreds of new websites requiring you to sign up for using their services. So you need a common user name for all these site. But the common user name must available with all those websites. But with the service provided by usernamecheck.com you can check in seconds that whether your default user name available or not over hundreds of popular Web 2.0 sites. Its a very good service and number of websites where the user name is to be check is increasing day by day. Glad to inform you about the launch of new google service which lets you tackle your health problems called as google health. Google Health puts you in charge of your health information. It's safe, secure, and free. Update: Google health has been discontinued. This is one of the things that we all Indians have been waiting for and could have thought that this could be possible. Now here it is to everyone. 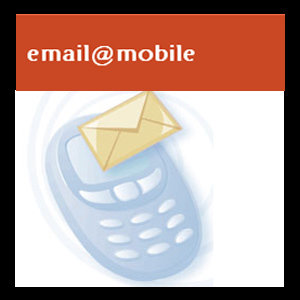 Now a very simple way has been found through which you can get your orkut scraps / emails your mobile phones via SMSs. No need of GPRS or WAP or internet connection on your mobile phones. No need of a hi-fi mobile phone. Just a simple cell phone needed which can receive SMSs. Thats it. No charges involved. It is totally FREE. This is a very cool hack which will enable you to receive your scraps on your mobiles via SMS. This hack may be very helpful for those who are on a vacation and cannot log in to their account gain and again to check their scraps/emails. What's the best part? You get all the updates on your mobile and you don't spend a single penny except that one time initial registration fee (merely RS 1) . Getting emails as SMS :(skip this step if you are only interested for scraps )Step 1(A) : Go to blogger.com >> Log in / Sign up >> create a blog ( which can be found at your_blog_address.blogspot.com ) >> Go to that blog "setting" >> "email" >> in the "mail-to-blogger" address field set your secret id (let xyz ) >> check "publish mails immediately" . Now your mail-to-blogger id will be like blogger_user_name.xyz@blogger.Now go back to blog settings >> formatting >> set "show no of posts" to 0 (zero) . Step 1(B): Now we have to forward our emails to the mail-to-blogger address . To do this action in gmail.com >> Go to gmail "settings" >> "Forwarding and POP/IMAP" >> in the " Forward a copy of incoming mail to " field put mail-to-blogger id ( i.e. blogger_user_name.xyz@blogger.com ) >> Click "Save changes". To do this action in yahoo mail >> Go to yahoo mail "options" >> "mail options" >> POP and Forwarding >> Check forwarding >> put mail-to-blogger id ( i.e. blogger_user_name.xyz@blogger.com ) >> save changes >> visit your blog >> click the confirmation link . 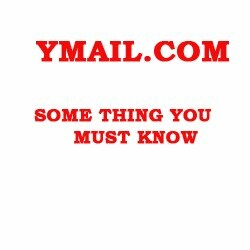 Now your emails are hosted at the URL like your_blog_address.blogspot.com/feeds/posts/default . Copy This address to clip board. Step 1 :To get scraps as SMS , first we have to covert our scrap into web feeds. To do this we need help of the website orkutfeeds.com by rahul bansal. Copy your scrap feed URL to clip board. To get emails as SMS >> Go to Feed Management Page >> Go to "Add Feed" >> In the "name" field put "email" and in the "URL" field put your_blog_address.blogspot.com/feeds/posts/default ( From step 1.B) >> Check send SMS >> click create AND YOU ARE ALL DONE. To get scraps as SMS>> Go to Feed Management Page >> Go to "Add Feed" >> In the "name" field put "scraps" and in the "URL" field put [update: script is not working anymore]( From step 1) >> Check send SMS >> click create AND YOU ARE ALL DONE. Scraps/emails sent to you via sms are 5-6 hours late. The word limit is 71. So you wont get to read the full scrap/email if it exceeds 71 words. This hack wont work if your scrapbook is locked or blog set as private. This whole trick/process is for Indian cell users only. If You are using email services which don't provide ( hotmail/live mail, zapak, rediff, indiatimes ) mail forwarding option ; you can't read them in your mobile. The emails that you are auto forwarding to blogger.com must be less than 10 MB in size. It's a common man's dream that he will set up a website by his name; but provided it must be free. But most of the service providers; claiming free website ; their main aim is to advertise their service. I'm going to tell you a ways to set up a free website easily without any forced advertisements . Free Web Hosting Provider: There are thousands of websites claiming free hosting. But I am going to tell you one which is reliable , that is zymic.com , which comes with 5 GB disc space and 50GB monthly bandwidth and many more features. Go to www.zymic.com >> Sign up with your e-mail and personal details >> Go to your email inbox and confirm the the mail>> Return to Zymic.com >> Go to "File manger" page >> delete the default "index.html" page >> Create a new file named index.html >> Upload your photos, flash file, video files etc and compose .html files to complete your website building process . Now your website is ready with a sub-domain like www.your-user-name.zymic.com . Free Domain Name Provider: To get a free domain name go to www.co.cc >> Register your desire .co.cc [example: www.your-name.co.cc] domain name ( if available ) >> Sign up with your e-mail id and personal details >> Go to your email inbox and confirm the the mail>> return back to www.co.cc >> log in and go to "My account" >> Click set up >> Check "Manage DNS" >> In "name server 1" field put "ns1.zymic.com" and in "name server 2" field put "ns2.zymic.com" >> Click "set up domain" . Now return back to zymic.com >> Go to "account profile" page (after logging in) >> Go to "add your own domain" field >> put "your-name.co.cc" >> Click "add/remove my domain now". Hooray you are all DONE. Wait for maximum 48 hours for Name Server changes. After 2 days tell the world about your Lovely website . Update: With co.cc you can get a custom domain for blogger/blog*spot hosted blogsite , custom domain for microsoft live services and google apps email and more services. Update: zymic.com is the best free webhosting which is better than 000webhsot and 110mb . Note: This post is NOT influenced by money from any of the above mentioned websites.